Another night in Italy requires another blog post detailing all that I’ve done today. That includes waking up at 6 am and boarding a charter bus for Napoli and finally Pompeii. Within an hour we arrived in Naples where we took a guided tour around the city. I was able to see the financial district, under-restoration Opera house, local homes, the very busy commercial loading port, and even local food stands selling fresh peppers and lemons alongside the main road. Though I only spent one hour in Naples, the charm of the city easily attached itself to my heart and I anticipate returning here again in the future. 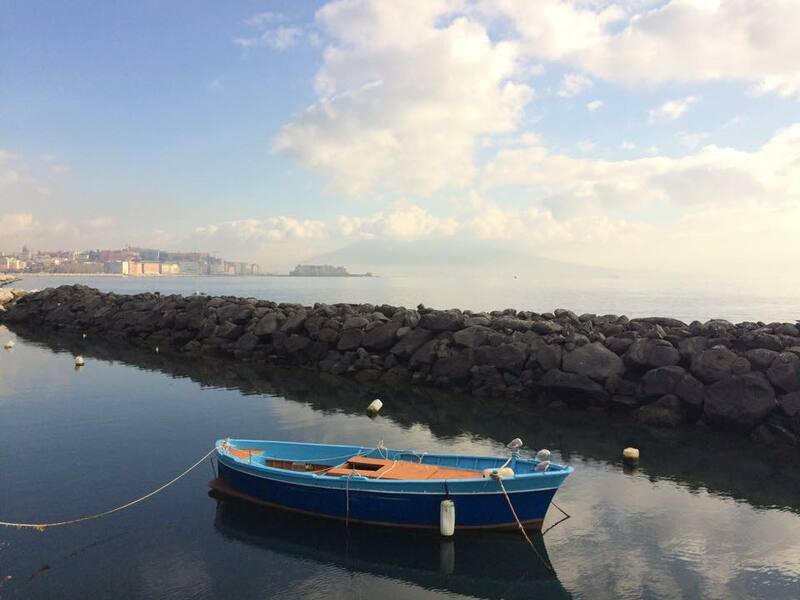 A local boat in the Porto di Napoli, with the active volcano Mount Vesuvias visible in the background. Another hour in the coach, we arrived in the very large city of Pompeii. Mount Vesuvius hasn’t erupted since 1944 and expert seismologists predict it will erupt within the next 10-15 years. 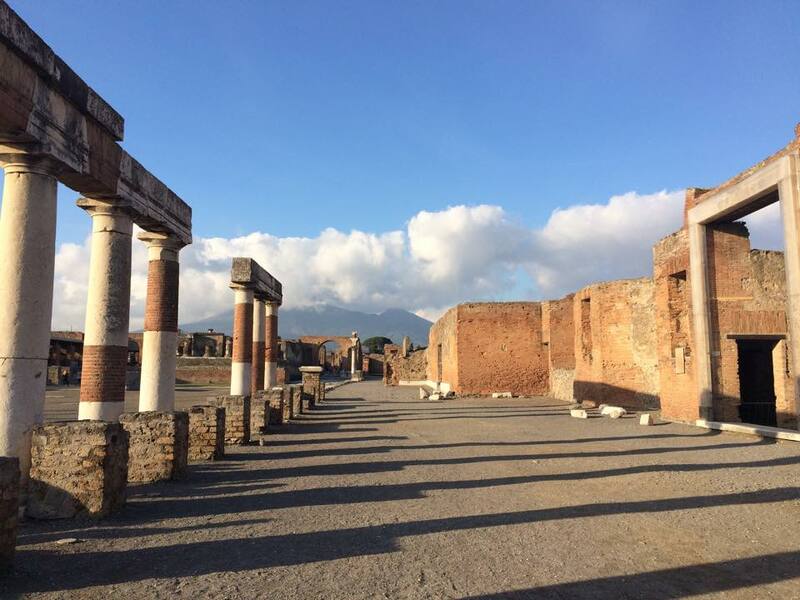 Though this horrifying fact doesn’t scare locals, the land around Pompeii is one of the most fertile farmlands in all of Italy. We stopped for lunch at a delightful little local restaurant and began our adventure towards the ruins of the ancient city of Pompeii. Much like the overwhelming sensation I felt in Versailles and the Colosseum, Pompeii depicted all that I had read in ancient stories, learned about in my Ancient, Civil, and Classical history class, and watched in Discovery Channel documentaries. 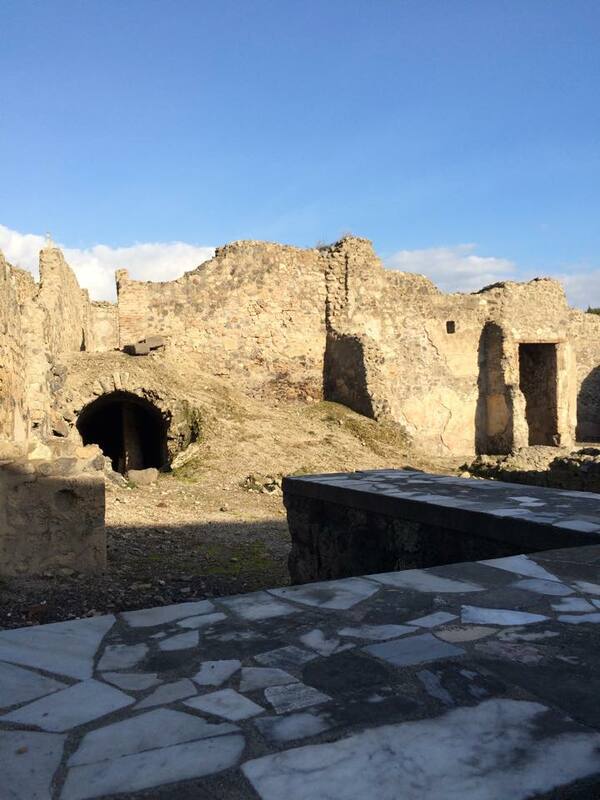 The fascination I have with Pompeii is rooted at the fact that this ancient and mysterious civilization which once thrived, was easily and so suddenly destroyed by a natural occurence. Instead of trying to explain to you what I saw, I’d like to show you a series of pictures of the ruins. 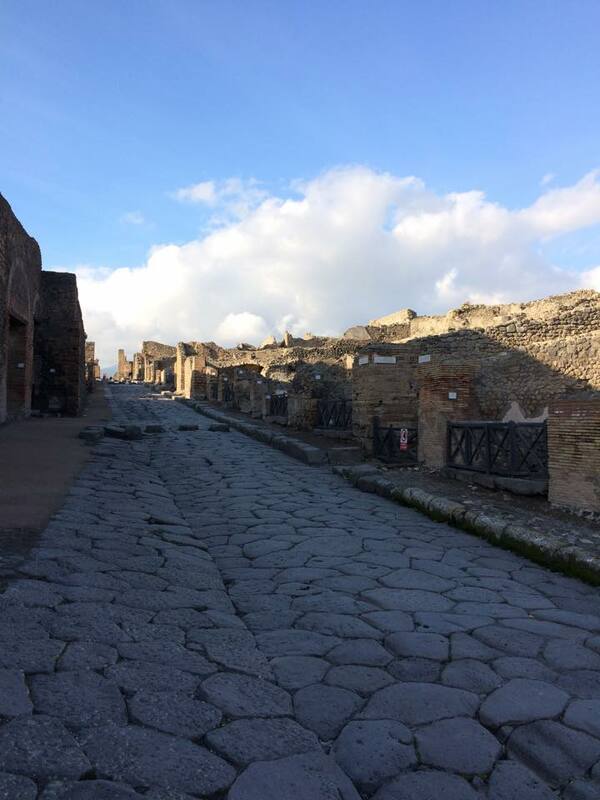 This is the main street in Pompeii. Alongside the streets, merchants would sell food, clothes, and goods to locals and visitors. The remains of a bar and oven which were the equivalent of a restaurant. 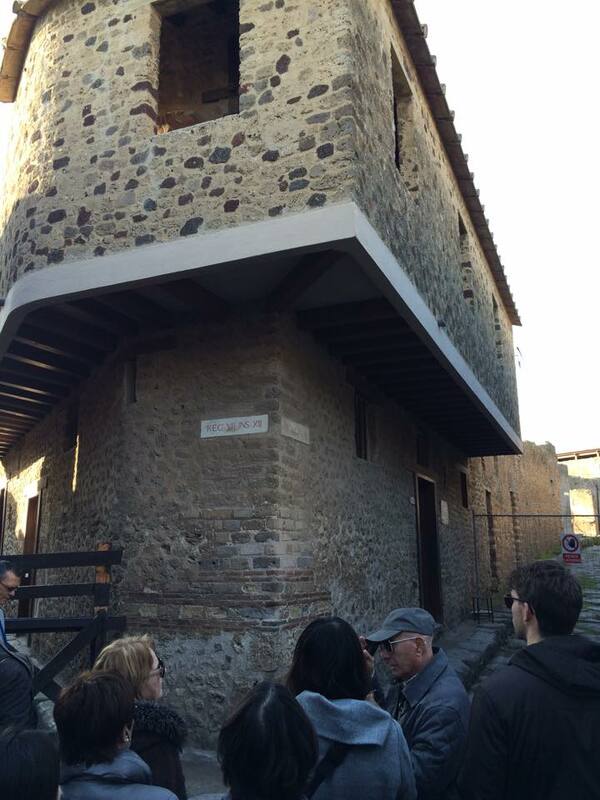 These types of “buildings” were scattered all along Pompeii. A panorama of part of the city, with Vesuvius in the background. Click to zoom in. The most popular brothel in Pompeii. Here, customers would walk in and request the type of service they want, and would then be lead to a stone mattress in a specific room. This image speaks for itself. In this square was a large commercial center where merchants would advertise their products through painted frescoes on the walls. 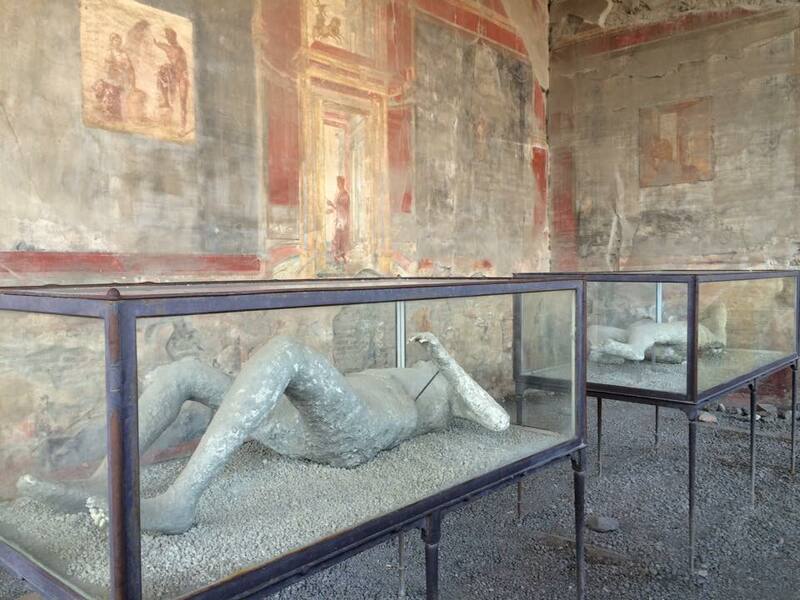 These were actual people who were frozen instantly by the volcanic ash following Mount Vesuvius’ eruption. The city center of Pompeii with Vesuvius pictured in the background. Another panorama with ruins of a superstitious ground. Click to zoom in and see the beautiful landscape. Just behind the mountains lies the Amalfi coast. 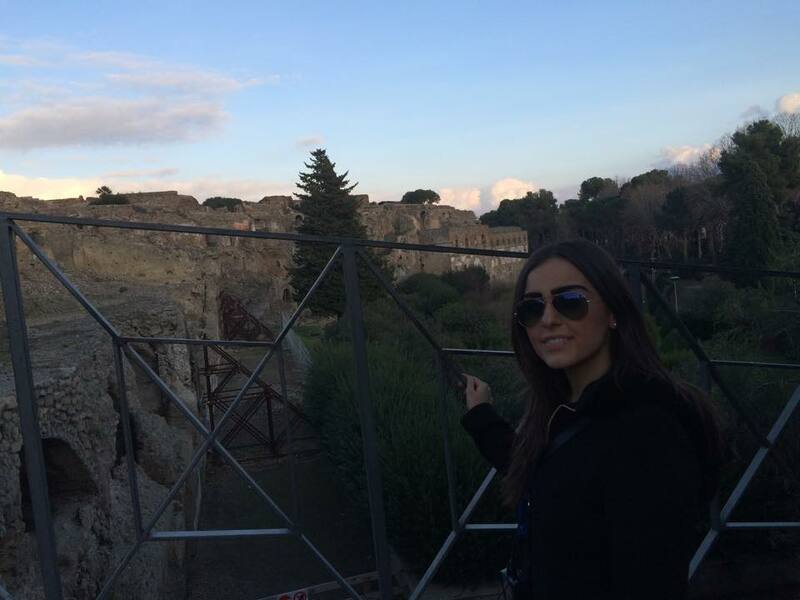 I was so mesmerized by Pompeii that I only remembered at the last moment to take a picture with the ruins. I’m still in awe that I’ve finally seen something which I’ve been fascinated with for so long. The respect I have for ancient civilizations grew from when I first visited Persepolis in Iran, home of the ancient and grand Persian Empire. I only hope to travel to other parts of the world and visit other ruins of ancient civilizations.